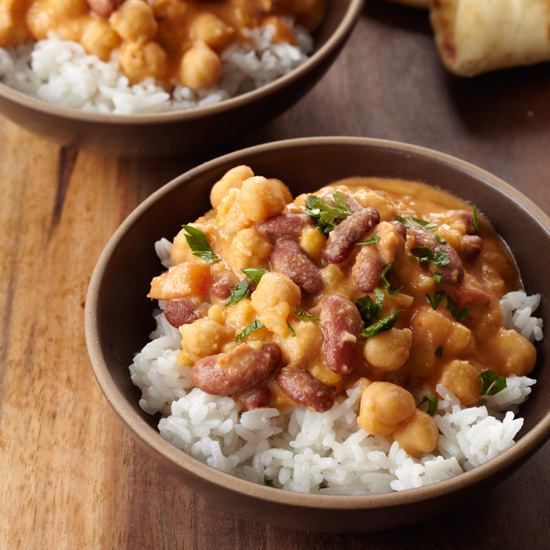 The endless versatility and staggering variety of beans makes them one of our favorite ingredients to work with—not to mention their affordability and healthfulness. 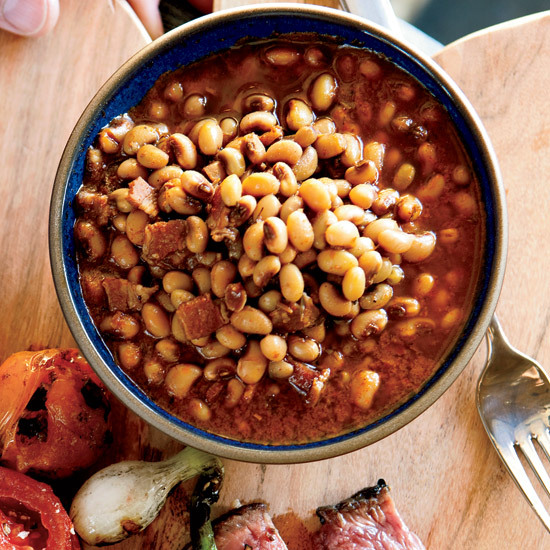 Here, a collection of our favorite bean recipes, from black bean soup to baked beans with bacon. 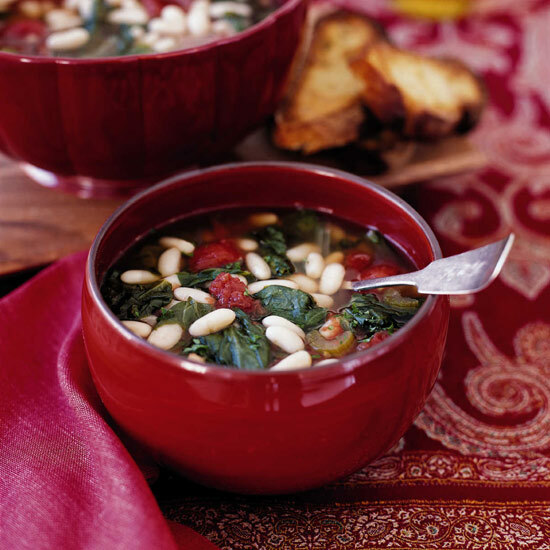 Soup preserves almost all of the water-soluble vitamins in beans, such as folic acid and niacin. 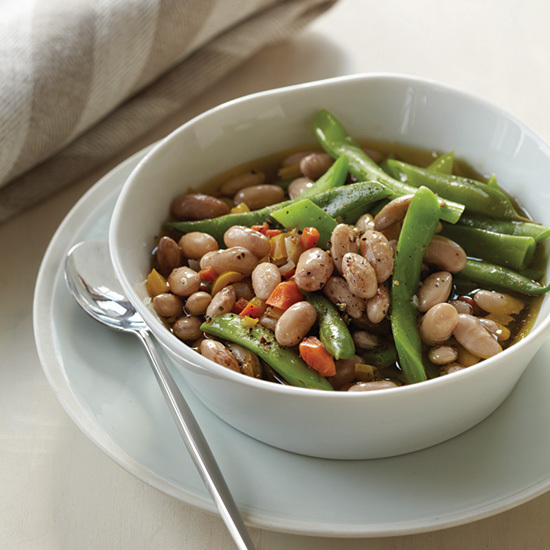 For a zippy version of a New England classic, Laurence Jossel bakes buttery Rancho Gordo Yellow Eye beans in a tangy-hot mixture of apple cider vinegar, molasses, brown sugar and crushed red pepper. 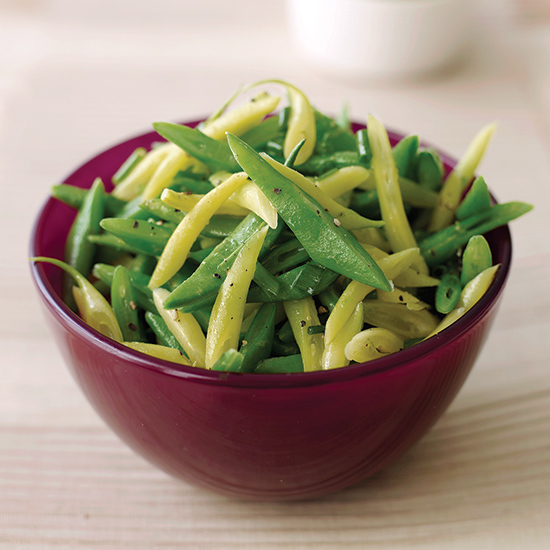 Regular Italian cannellini or Great Northern beans can replace the Yellow Eyes. 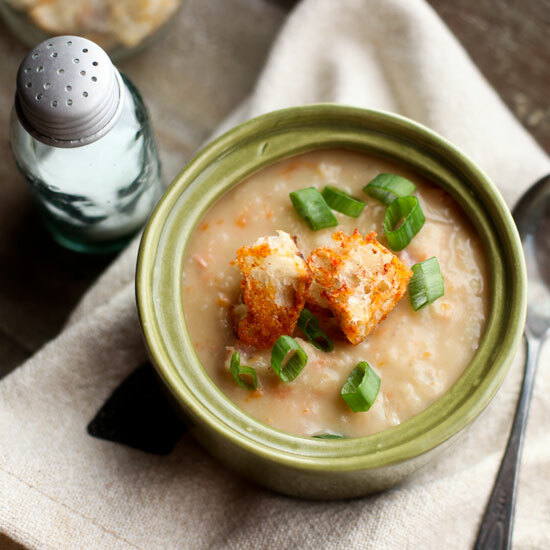 This light, seafood-and-white-bean stew is a perfect match for craggy, crusty bread. 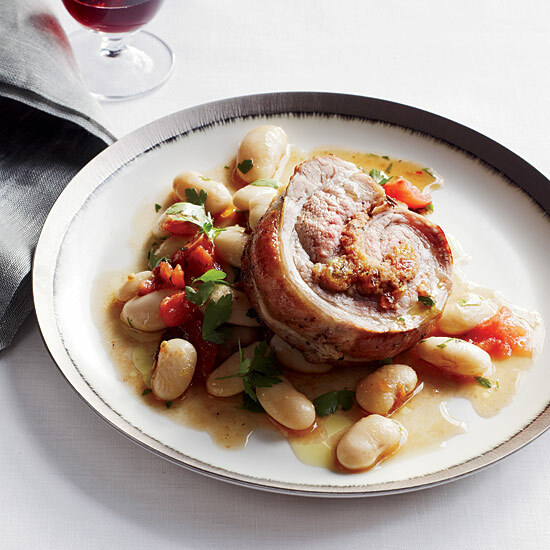 This succulent veal breast from Cormac Mahoney is a show-stopper at any gathering. 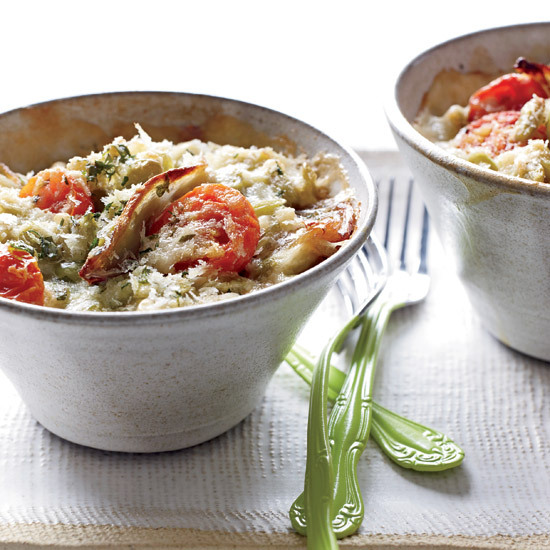 In this luscious dish, chef Jerry Traunfeld combines the slow-cooked leeks with meaty porcini mushrooms and cranberry beans (a.k.a. 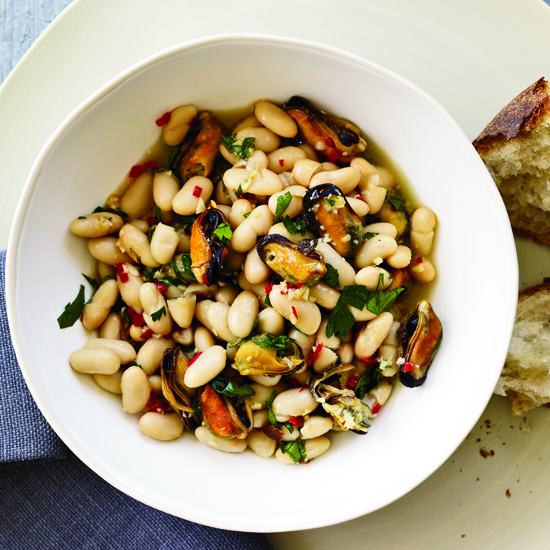 borlotti or shell beans), which can be found fresh in early autumn and taste like chestnuts. 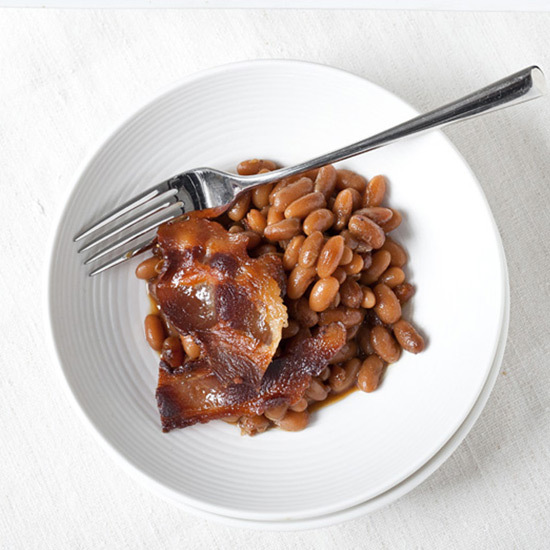 The dish can easily be adapted for carnivores by adding bits of crispy bacon or that key cassoulet ingredient, duck confit. 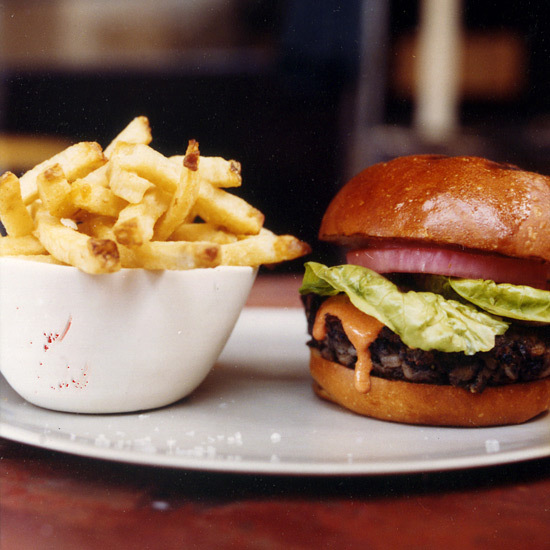 Most veggie burgers are a pale imitation of the all-beef original, but even with ordinary black beans in place of Rancho Gordo Midnight beans, these robust patties with roasted red pepper spread are moist and delicious. The spread also doubles as a fantastic dipping sauce for French fries. 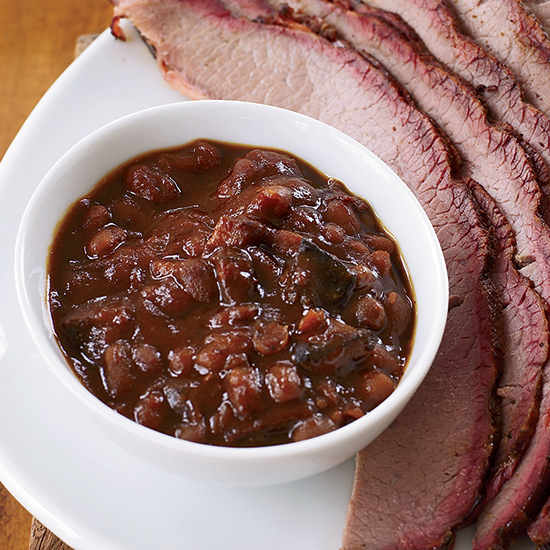 Chef Paul Kirk's mother taught him this recipe for soft red-brown beans in a brothy liquid. Jerry Traunfeld soaks dried white beans overnight before boiling them and stewing them with caramelized onions, garlic, Parmigiano-Reggiano cheese and rosemary. 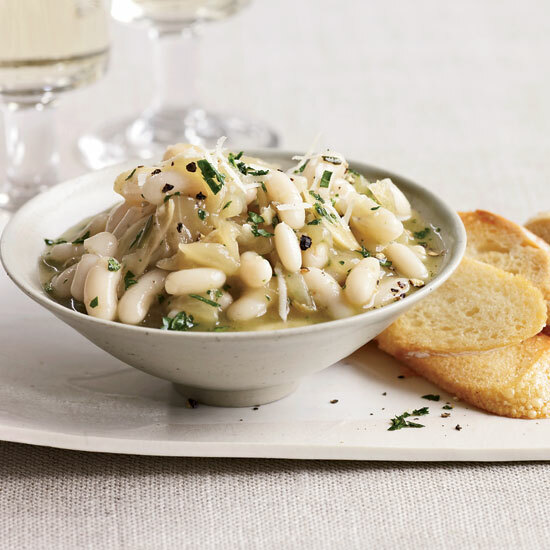 To cut down on prep time, use ready-to-eat canned cannellini beans instead of soaking white beans. Quick-cooking split yellow peas and canned beans make this recipe fast but still totally satisfying. 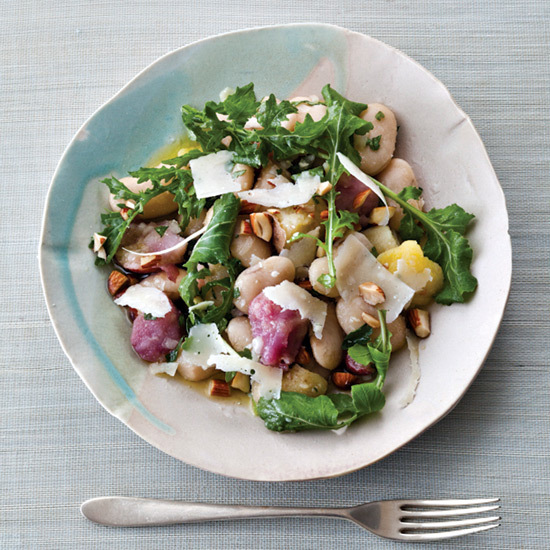 Tender, creamy butter beans join with hearty potatoes in this light yet substantial salad. An unusual ingredient—red miso paste—adds nuttiness. 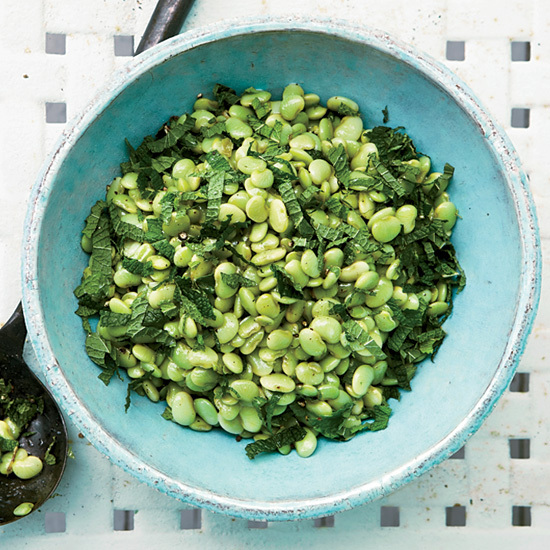 Fresh lima beans are only available for about eight weeks a year. Here they appear in a buttery gratin. 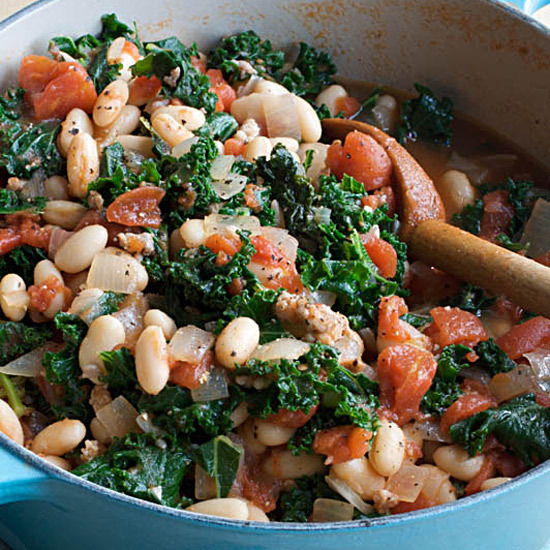 This easy bean stew is light and fresh. 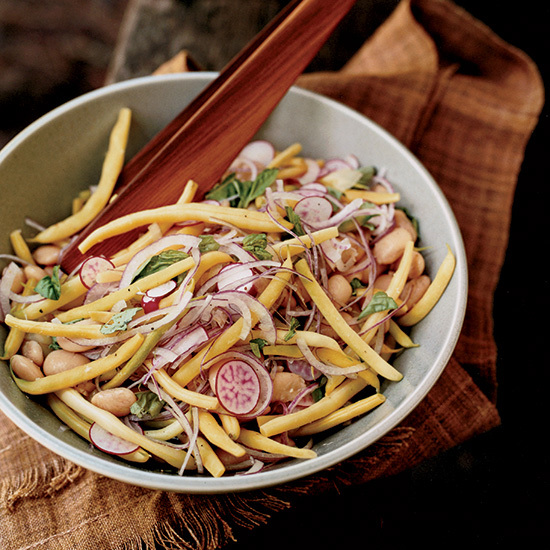 "Trust me,"says chef Nate Appleman about this unorthodox recipe. He quickly grills whole fava beans, tosses them with a crushed red pepper dressing and serves them hot. 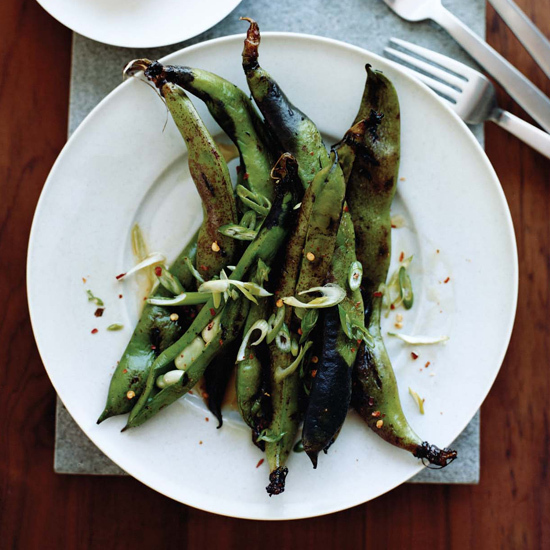 They can be eaten whole—the tender pods develop a lovely charred flavor on the grill—but it's also easy to eat them in the traditional way by popping the beans out of their pods and outer skins. Heidi Swanson takes string beans (which have twice as much iron as spinach) and slices them thinly on the bias, a preparation she discovered while traveling in Southeast Asia. Use a food processor fitted with a slicing blade to save time. 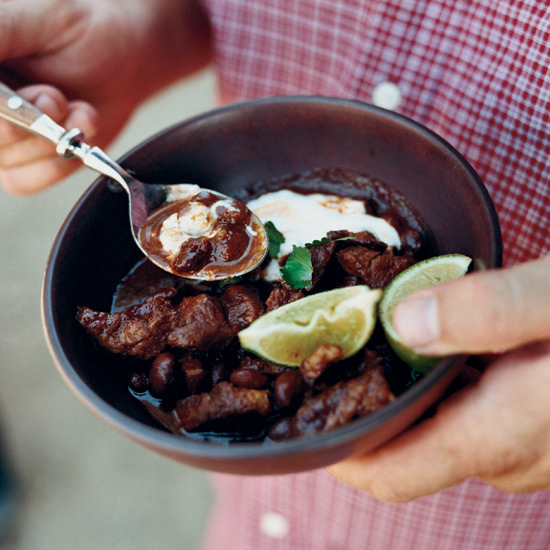 Spiced with árbol and guajillo chiles, this mellow, satisfying chili contains both braised goat shoulder and Rancho Gordo’s Ojo de Cabra (Eye of the Goat) beans. The recipe is also wonderful with pork shoulder in place of the goat and ordinary kidney beans instead of the heirloom kind. 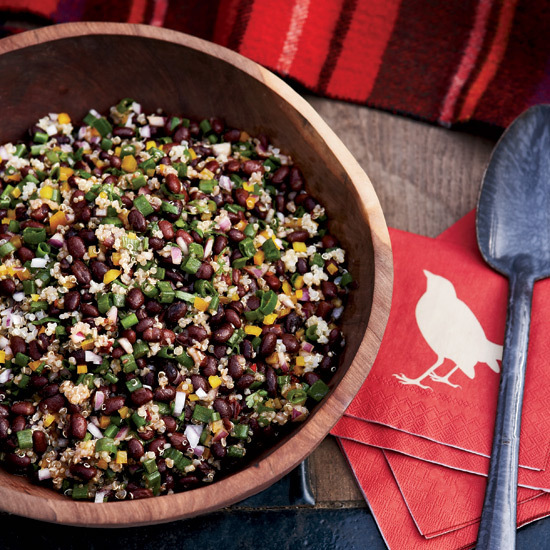 Chef Sean Lippert traces her love of beans back to the excellent Mexican food she grew up with in California. "We bought beans from local markets in the Central Valley, which we went to all the time," she says. "Most people prefer margaritas either frozen or on the rocks. 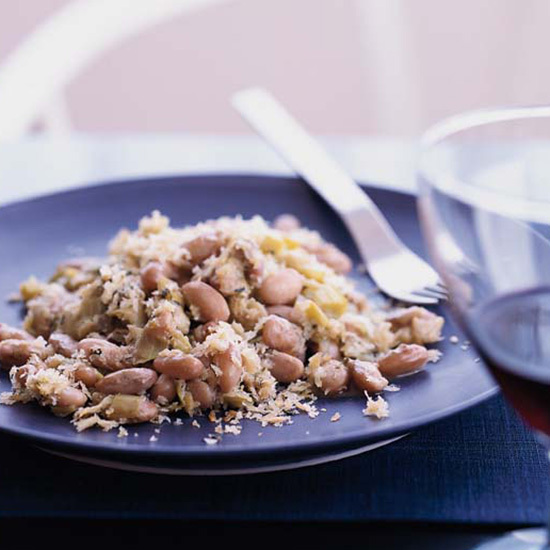 In Texas, it’s the same with refried beans versus charro," says chef Tim Love. 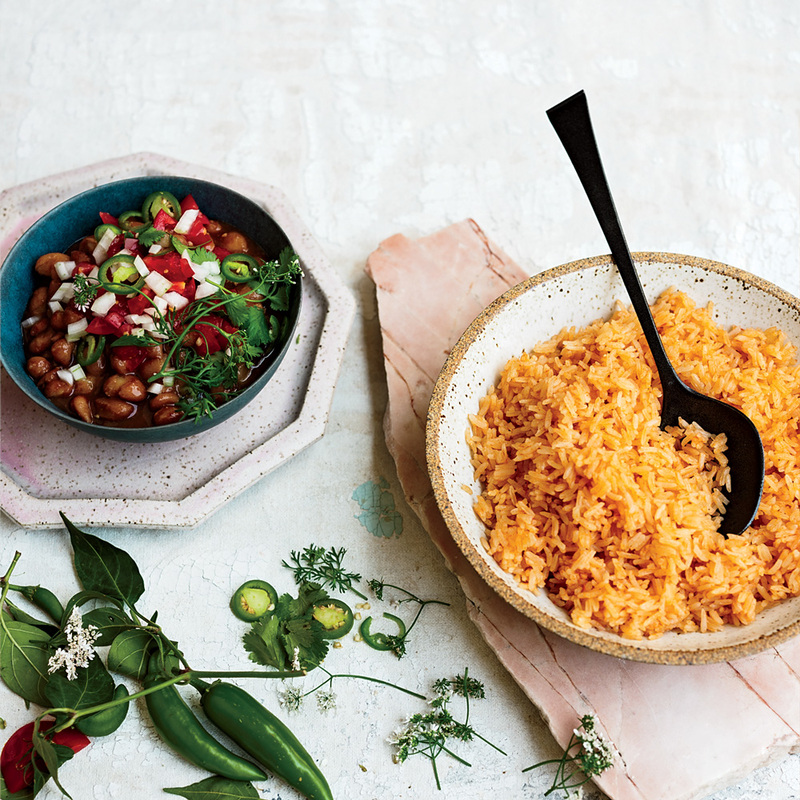 Refried beans are made with mashed pintos; for charro—a Tex-Mex take on pork and beans—the beans are served whole in a spicy broth. 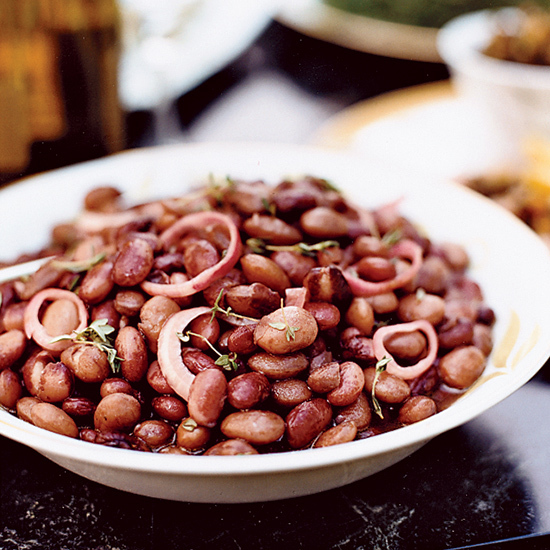 The dried butter beans for this simple dish can take as long as two hours to cook. 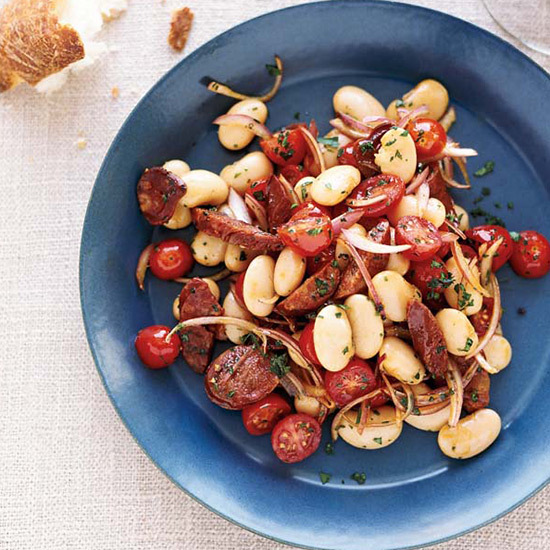 Use canned butter beans to cut the prep time to 20 minutes. 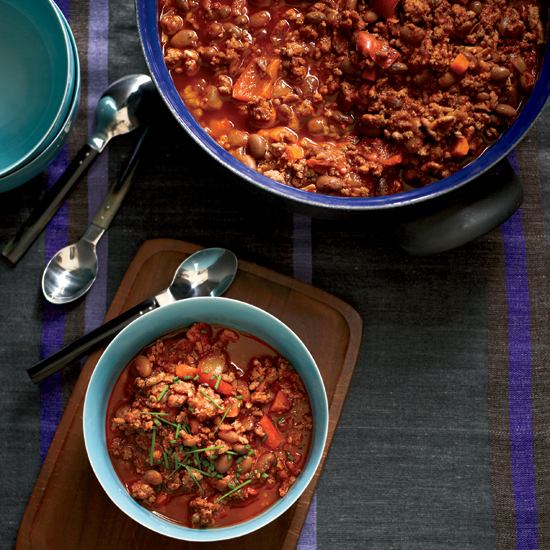 Serve the dish as a hearty, satisfying main course. 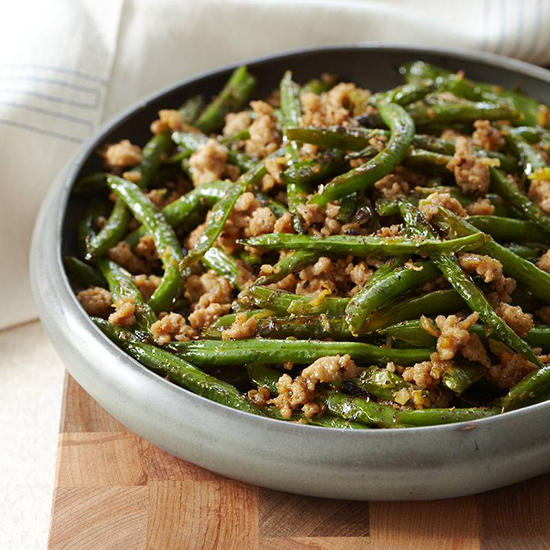 Szechuan peppercorns bring tingly, cool-hot flavor to green beans and minced pork in this quick stir-fry. Black beans, often served in a soup or stew, have been a mainstay of Mexican cuisine for thousands of years. 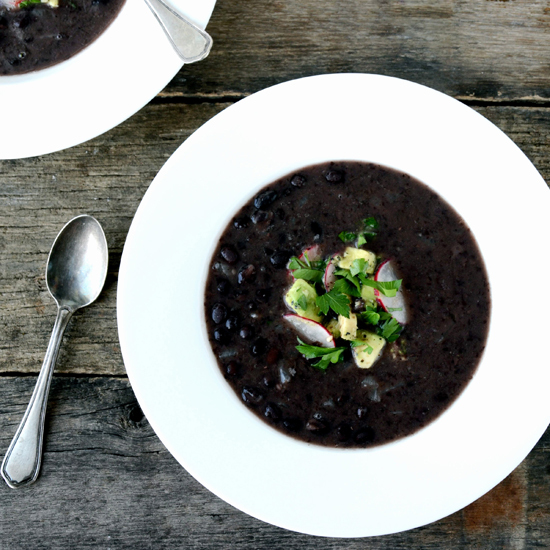 Black bean soup is also popular in the Caribbean, where rum, sherry, or peppered wine is often added toward the end of cooking. We add the sherry somewhat earlier in this version, which combines elements of both traditions. A crunchy, herbal topping of diced raw onions, tomato, jalapeño and tons of cilantro punches up Lorena Herrera’s no-soak, creamy pot o’ beans.